Thrift - Flowers April to September. 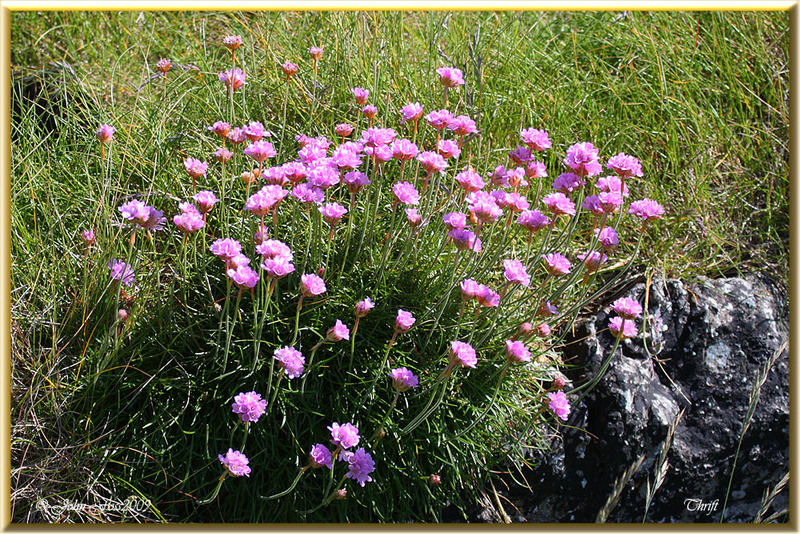 A beautiful coastal pink flower that grows in lovely big bunches like this. 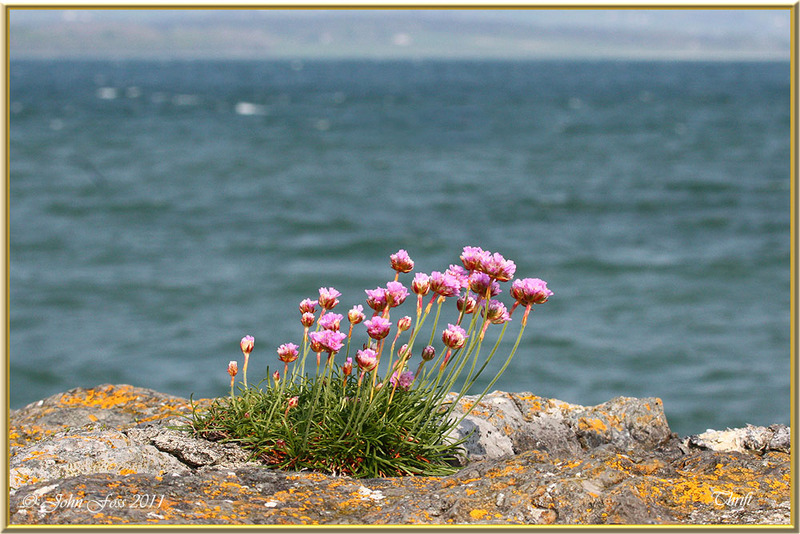 Usually found around rocky coasts, coastal roads and pathways. The thrift was the flower seen on the reverse side of the old English threepenny bit. Probably where the word thrifty came from, meaning wealthy. 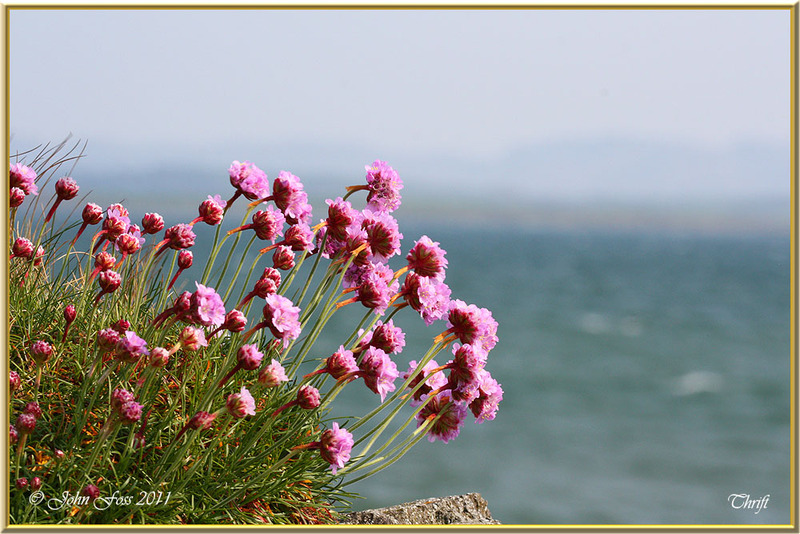 These photographs taken at Raghly Co. Sligo.